China seizes a US underwater survey drone in the South China Sea triggering a stand-off between US and China. US President-elect Donald Trump says China stole the drone. To ease the tension, China agrees to return the drone. Trump asks China to ‘keep it’. China says Trump has ‘no idea’ how to lead a superpower. Twitter is banned in China since 2009, but Trump’s tweets are getting on Chinese nerves. What is the ongoing US-China diplomatic crisis? 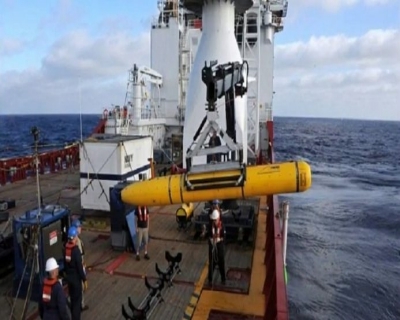 The Chinese government has agreed to return a U.S. underwater survey drone that was seized on 15 December in the South China Sea, effectively ending a brief standoff between the two nations. “Through direct engagement with Chinese authorities, we have secured an understanding that the Chinese will return the Unmanned Underwater Vehicle (UUV) to the United States,” Pentagon spokesman Peter Cook said in a statement. Details were not immediately available on when or how the drone may be returned. The statement came mere hours after China’s Defense Ministry had said the drone would be returned but criticized the United States, saying that the way it “hyped the case in public” wasn’t helpful for a speedy resolution. Chinese Defense Ministry spokesman Sr. Col. Yang Yujun said, "China and the United States have been communicating about this process. It is inappropriate -- and unhelpful for a resolution -- that the US has unilaterally hyped up the issue. We express our regret over that." The latest encounter in international waters in the South China Sea region occurred about 100 miles off the Philippine port at Subic Bay. The US got no answer from the Chinese on the radio when it said the drone was American property. As they turned away, the Chinese did come up on the radio and indicated they were returning to their own operations. The drone was with China now. This is not the first such case. 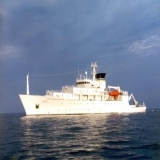 American oceanographic research vessels are often followed in the South China Sea under the assumption they are spying. Why did Trump have to jump in? Well, he has earned the right to jump in international waters. In exactly a month from now, Donald Trump will swear in as the 45th President of the United States. Armed with merely a Twitter handle, Trump has left no occasion unexploited to target the Chinese. He could not, of course, let go of this one. “China steals United States Navy research drone in international waters – rips it out of water and takes it to China in unprecedented act,” Trump wrote. That Trump chose to comment crudely on an ongoing delicate international issue before taking office was also unprecedented. 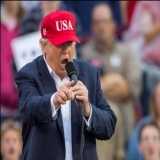 Outgoing President Barrack Obama had quipped after Trump’s victory that Trump will learn the intricacies of US Presidency now - hinting that it is one things to make campaign promises and another to act on them. It seems Obama will be proved wrong again. Trump continues to be Trump. Even after China agreed to return the drone, Trump doubled down on his initial statement, saying that since Beijing stole the device it’s now theirs. “We should tell China that we don’t want the drone they stole back - let them keep it!” Trump wrote. Trump may be playing to the galleries but in doing so he is managing to provoke the Chinese leadership. In China, the leaders don’t even talk as much as Trump tweets. And, worryingly, in China the leaders have to appear strong. Trump is putting them in a position where they will have to issue counter-threats. Unlike American Presidents, the Chinese usually act on their threats. When did Trump really frustrate China? Many foreign policy experts feel this incident was China’s message to Donald Trump. Two weeks ago Trump angered Beijing by speaking to Taiwan’s president over the phone. “This was very likely a highly planned and escalatory move to show China will not take matters lightly when it comes to President-elect Trump’s phone call and comments on Taiwan, or Chinese actions overall,” said Harry Kazianis, director of defense studies at the Center for the National Interest. Not only did Trump speak to the Taiwanese President directly, he even said he will reconsider the ‘One China’ foreign policy of the United States. The current President of Taiwan, Tsai Ing-wen, is viewed by Beijing as pro-independence. Washington has pursued a ‘One China’ policy since 1979, when it shifted diplomatic recognition of China from the government in Taiwan to the communist government on the mainland. 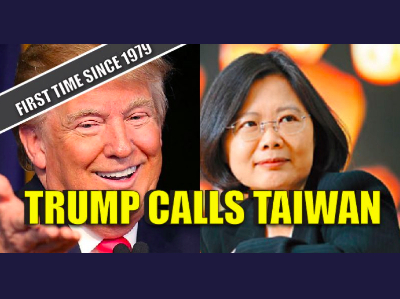 The call between Trump and Tsai was the first such contact with Taiwan by a US president-elect or president since President Jimmy Carter adopted the One China policy in 1979. China regards Taiwan as a rebel province which it will eventually absorb. This stance has formed the basis for modern western diplomatic relations with China. Over the decades, the status of Taiwan has been one of the most sensitive issues in U.S.-China relations. China would regard any recognition of a Taiwanese leader as a head of state as unacceptable. So much so that diplomatic protocol dictates that Taiwanese presidents can transit through the U.S. but not visit Washington. The Trump call to recognize Taiwan comes at a time of worsened Taiwan-China relations since the election of Tsai's pro-independence Democratic Progressive Party (DPP) earlier this year. China has clearly stated on multiple occasions that it will not refrain from using its full military force on Taiwan if it dares to consider independence. Donald Trump cannot infuriate China on Taiwan without considering a war with China over Taiwan. The businessman in him will understand that the costs will far outweigh the benefits (if any). Where did Trump’s tweet misfire? Donald Trump was probably in a hurry to express his views on the US-China standoff. 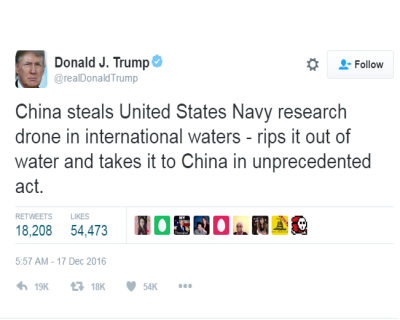 His tweet read, “China steals United States Navy research drone in international waters – rips it out of water and takes it to China in unpresidented act”. 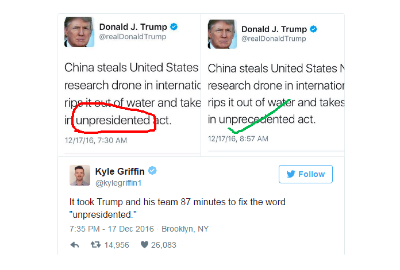 Yes, he misspelt unprecedented as unpresidented. This in itself was an unprecedented error. It took almost an hour and a half for that tweet to be deleted and replaced with one in which “unprecedented” was spelled correctly. By this time enough ammunition had been provided to the creatures of the internet to have a blast. You demanded Obama's birth certificate, I in return demand written proof you passed 3rd grade. Trump isn't wrong; he just discovered a word no one has used yet. He's calling dictionary companies and coercing them. Someone should let Trump know that when a word in your tweet is underlined in red, it doesn't mean "tremendous word choice"
Of course, this is hardly the first time Trump has had to delete a tweet with a misspelling. In November, for example, he wrote “speaches” instead of “speeches.” He also accused CNN recently of reporting "rediculous" fake news. Twitter has been officially blocked in China since 2009. Now, Trump is forcing the Chinese authorities to constantly check Twitter to know what the President-elect thinks of China. Note: In addition to Twitter, China has also blocked popular websites such as Google, Facebook, Blogger and WordPress in the country. One of the most recent addition to the list of censored websites in the country is Medium, which was banned in April most likely in connection with the Panama Papers scandal. Barrack Obama had advised American people to not elect Donald Trump as President because “Trump would undo my legacy”. At least in this aspect, Obama was right. President Obama spent his two terms in office working to build closer ties with China while seeking to isolate and punish Vladimir Putin’s Russia. Trump may do the exact opposite. After Eight years of Obama, Beijing is a key economic partner that has shown willingness to work with the Americans to control the rogue regime in North Korea. Moscow is subject to harsh US sanctions and continued public criticism from Obama and his aides. If Obama were to be believed, Putin is responsible for that is wrong with the world. To be fair to Obama, Putin gave him little choice. Russia’s 2014 invasion of Ukraine, 2015 bombing campaign in Syria, and 2016 alleged hack of the US election convinced the administration that Russia was a threat to the international order. Despite its aggressive moves in the East and South China Sea, Beijing has been far less confrontational, and far more willing to negotiate with the United States in good faith on long-range issues like climate change. Obama’s hatred of Russia has only grown recently. He recently suggested that Putin was connected to Russia’s cyberattacks against the US. Then he belittled Russia. n"They are a smaller country, they are a weaker country, their economy doesn't produce anything that people want to buy except for oil and gas and arms, they don't innovate,”n he said. On the other hand, Trump says he can “work with Putin”. 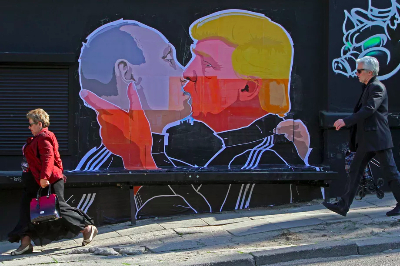 During the election campaign, Hillary Clinton accused Trump of being “Putin’s puppet”. Obama and US intelligence have accused Putin to have directly interfered to ensure Trump wins the election. Trump sees Putin not as a threat to Western norms, but as a tough and capable leader and potential partner in fighting radical Islam. China, in his eyes, is a threat to the US economy — responsible for the loss of massive numbers of American jobs. 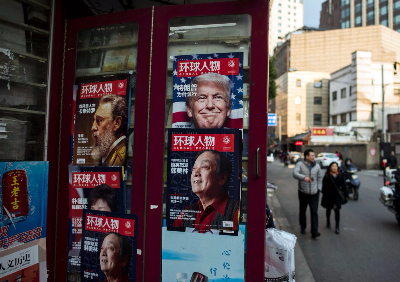 Trump will be harsh on China because other US presidents have been soft on it for decades. As Vox puts it, Obama’s basic policy — work with China, isolate Russia — is about to be flipped on its head. How is a UUV used? Unmanned Underwater Vehicles (UUV), popularly known as underwater drones, are the vehicles that are able to operate underwater without a human occupant. These vehicles may be divided into two categories, remotely operated underwater vehicles (ROVs), which are controlled by a remote human operator, and autonomous underwater vehicles (AUVs), which operate independently of direct human input. The latter category would constitute a kind of robot. Compared to unmanned vehicles in the air and on the ground, underwater drones are less well known. The impending retirement of manned vessels like minesweepers (for undersea mines) and recent geopolitical events indicate that that could change within the next few years. Instead of sending out human divers, UUVs can be used to disable the mines with a small explosive charge, eliminating the risk to sailors. 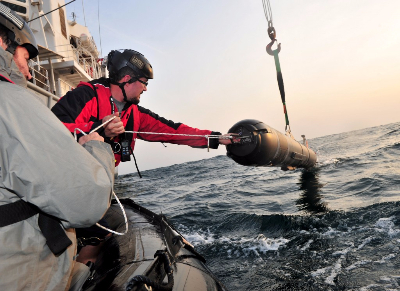 UUVs are also fitted with sonar and other sensors that can autonomously map out minefields. For example, during Operation Iraqi Freedom in 2003, the US used a REMUS UUV to help clear sea mines from the waterways around the port of Qasr, marking the first time a UUV was deployed in a combat environment. One of the most capable Hydroid UUVs is the REMUS 600, a torpedo-shaped underwater drone designed to carry a large payload of sensors to great depths for meteorological and oceanographic surveying. The US Navy is aiming to launch a squadron of autonomous UUVs by 2020 that can operate independently of manned vessels. Russia and China are believed to be working on their own squadrons.